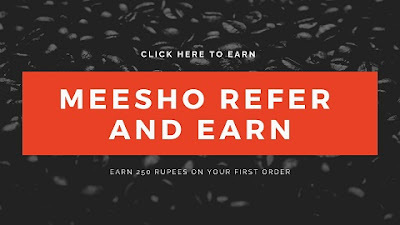 Phonepe Hotstar Offer:- Hotstar is one of the Indian App that provides the various Tv Series, Web series and Entertainment content on their App and as well as on their official site. IPL season has been started and everyone has been glued to their TV to watch the IPL Matches. Some of them are playing Fantasy Cricket to earn sound money. However, Hotstar has recently set the Global Viewership Record for Online Streaming. 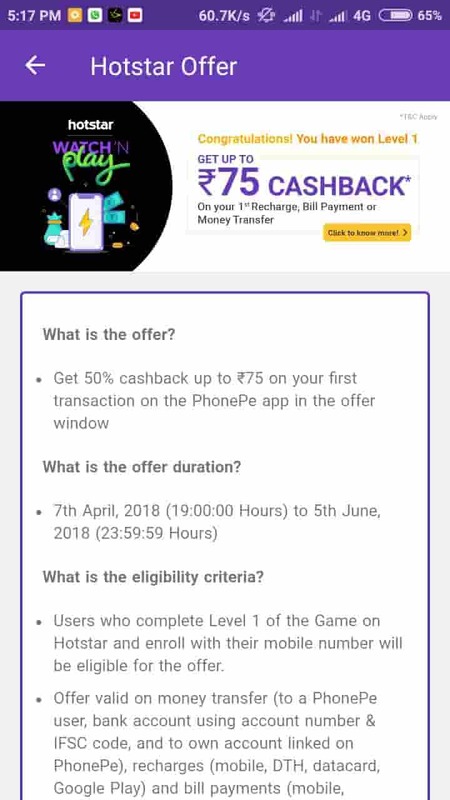 Apart from this, they are running the IPL Season Fever Contest to earn Phonepe Cashback of 75 Rs. Hotstar naming this contest on their official as Watch and Play to earn various Coupons and Cashbacks. In this Hotstar and Phonepe Offer, you have to Watch'N Play a small game like predicting every ball and tell the result whether it'll be 0's, 4/6 or 1,2,3. On every successful prediction, you'll get some points and the upcoming coupons and prizes will be shown on the screen for your winning points. 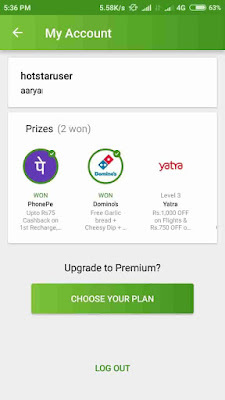 But if you want to get Rs 75 Cashback then you have to win Level 1 that is having the points 10. That is an easy task to get. How To Avail this Phone and Hotstar Offer? Now open the Hotstar app and Login/Signup with your Email ID. After this wait for the Live IPL match should start as the contest will run in Live Match. In the Live Match you can see the Watch'N Play Option there you can see some predicting questions. Now from those three options, you have to choose 0s, Out 4/6 and 1,2,3 option. If the answer will correct then you'll get some points. As soon as you made the 10 points click on the below to see the prize. 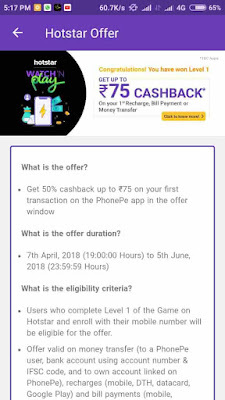 There you'll see Phonepe offer, Now click on it and avail it. Or you can go to your Profile/MyAccount option to see your Winning Prize. 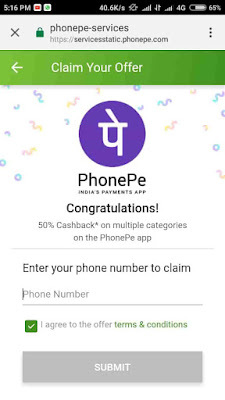 Enter your Phonepe number and done. There you'll see the Banner Flashing of Hotstar Watch'N Play. Now send Rs.150 to any of your Friends Via UPI. 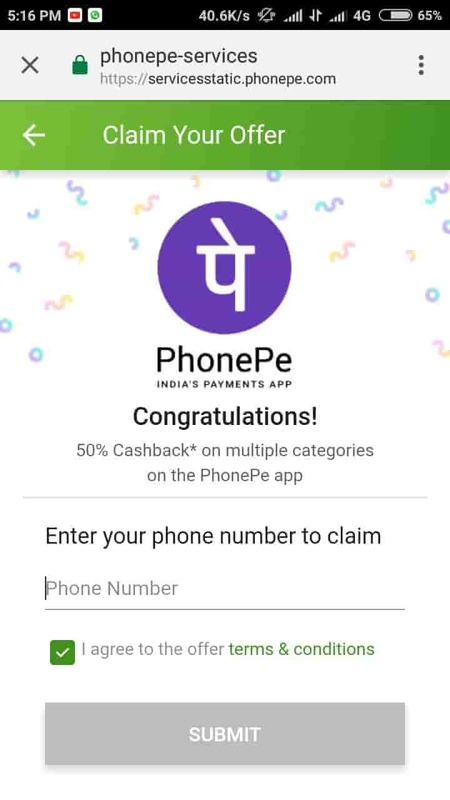 Done, you'll get 75 Rs Cashback in your Phonepe Wallet.